FIND A GREAT SUMMER CAMP IN LOS ANGELES! 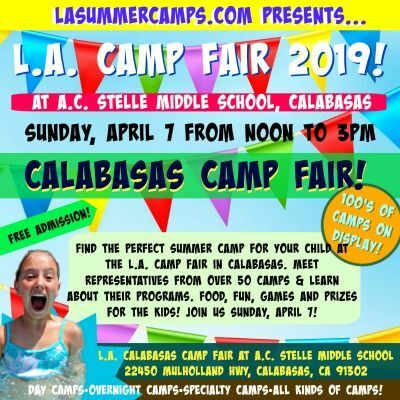 If You Live in L.A., You Can't Afford to Miss the Upcoming 2019 L.A. Summer Camp Fair and Expo Events in March and April. 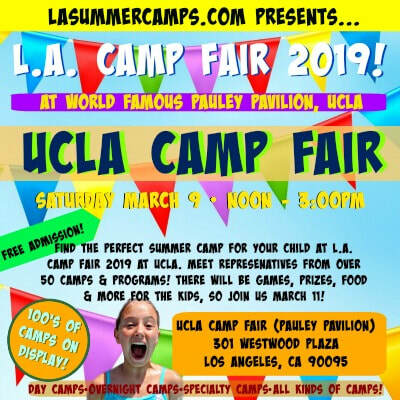 Encompassing Three Convenient Dates and Locations at UCLA, Los Feliz and Calabasas, Attending L.A. Camp Fair is Your Ideal Way to Find the Best Camp for Your Child this Summer. You don't have to look far to find the number best summer program opportunities for your kids this year. You'll discover everything you want and more at the L.A. Summer Camp Fair and Expo in March and April. 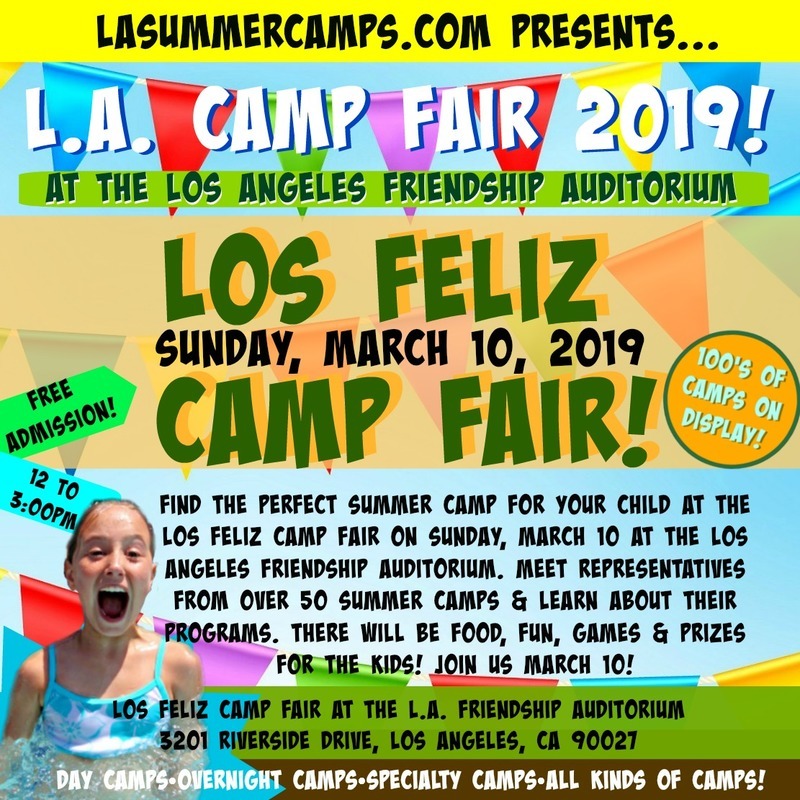 The L.A. Camp Fair is your "one-stop-shop" for finding the best camp for your child this summer! Meet camp directors from over 100 different programs, pick up free brochures, and get all the information you need so you can make the right camp choice for your family. When you attend the L.A. Camp Fair, you'll be able to meet the leadership teams and people in charge of the programs you're considering for your child this summer. You can spend all the time you want searching the internet and asking your friends about which local camps are the best, but there is no website or referral that can ever take the place of having a face-to-face conversation with the people who will be supervising your camper this summer. Sometimes choosing the right camp can be daunting, but not when you come to the Camp Fair! Dozens (and dozens!) of camps and programs will be on display for your benefit. It's your best opportunity to meet and interact with camp counselors, directors and staff from all kinds of programs from day camps to overnight camps to sports camps to specialty camps and so many more.L.A. Camp Fair is a fun and FREE educational event your whole family will enjoy. There will be activities for the kids and lots of valuable info for you. Join us at L.A. Camp Fair 2019. It's L.A.'s biggest and best camp expo, and the best way to get informed of all the great program opportunities in L.A. this summer!